I have been editing this documentary the last three months and I have to say that I enjoyed every minute of it. The shooting was done near Helsinki, in a small island and I captured the squirrels using a Canon XLH1 HDV camera. 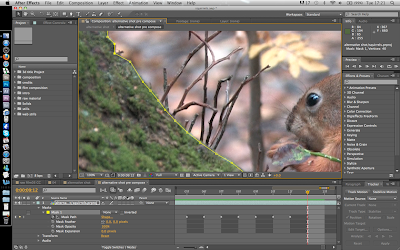 It is a work in progress and as you can see, I am trying to finish advanced color grading for the film. Once I finish grading, I will hopefully start the sound design process. I am still struggling to find a good sound designer, some designers don't want to take part in projects where there is almost no budget and some of them are just too busy. But I am sure I will be able to come with good collaborators who in the end will create impressive output. The film depicts the ruthless rivalry to find the best nut ever. 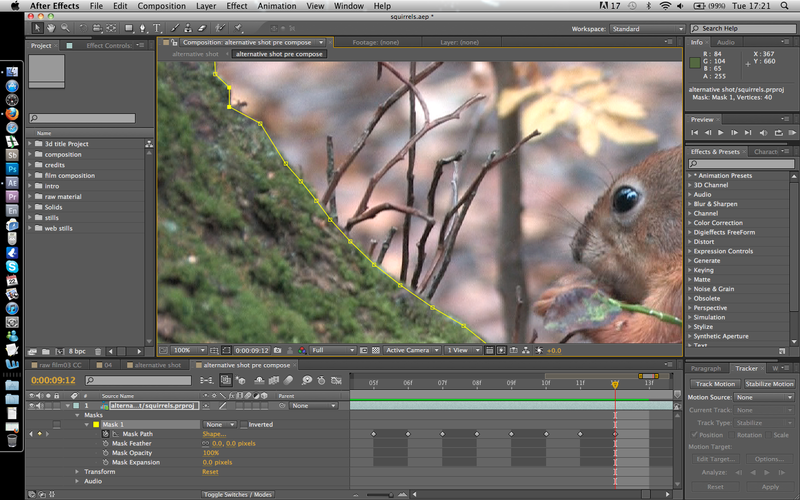 I have tried to use low angle compositions in order to represent the camera acting as almost a squirrel. 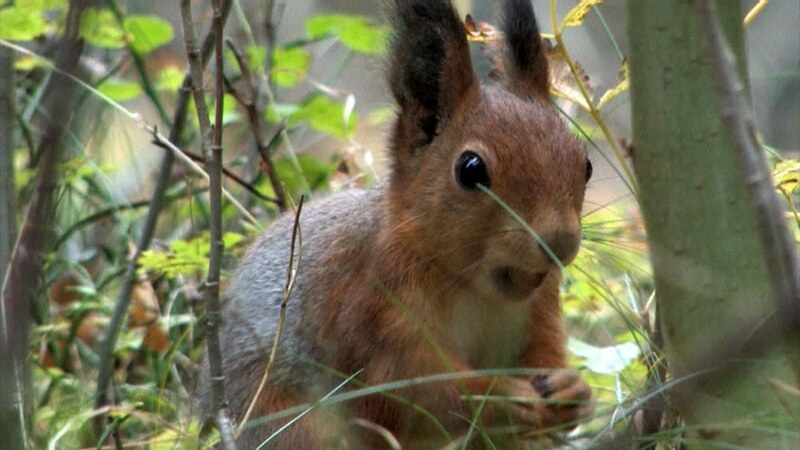 Therefore I expect the sound design to be perceived as from the ears of the squirrels and give the audience the feeling of the depth of a forest. I have to mention, here, that I have shown this film to my favorite cinematographer, Hoyte Van Hoytema during Camerimage 2011 and he was very impressed by the editing of the film. I expect to finish this short documentary by the end of this month. I would like to mention couple of links that I have found very useful during the post production of this film. Feel free to contact me for your comments. I am open to any kind of collaboration to finish this project.